The often forgotten accessory in a golfers bag is the golf towel. Usually not a lot of thought is put into the choice of a golf towel. Most of the time for the golfer it's just an afterthought and one is just used because it was lying around in your golf course. UtherGolf from Toronto, Ontario has created some pretty great golf towels. 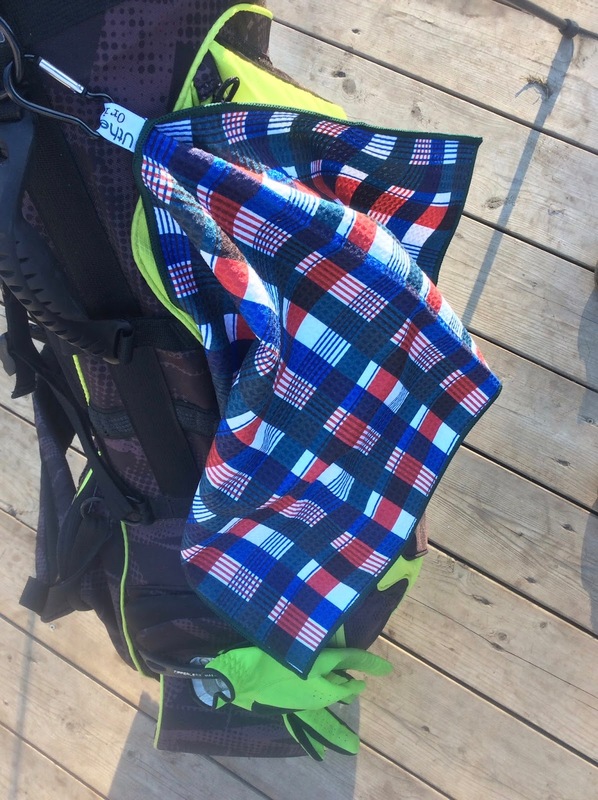 I got to test out their premium golf towels towards the end of our golf season here in Ottawa and I came away more than impressed. The quality of their golf cart towel is second to none. The microfiber fabric is durable and stands up to all playing conditions and cleans up beautifully. 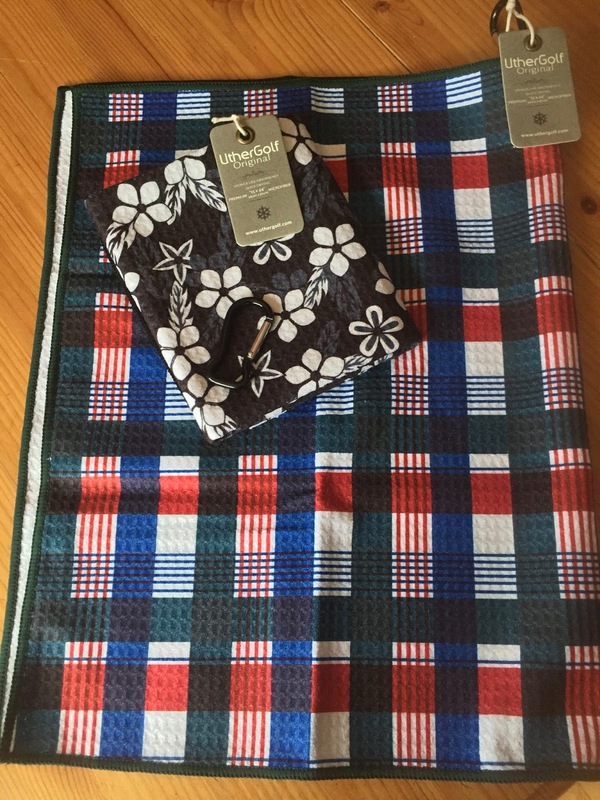 UtherGolf used a blend of microfiber because it was more absorbent than cotton plus it was anti-bacterial. With its woven rib pattern it worked great at keeping my clubs clean and what ever else I need cleaned. Perfect so a golfer can just concentrate on their next shot. By having two easily to distinguish sides, never mix wiping your golf club and hands on the same area. The colours and design are completely original and a quick look at their website most people will find a colour scheme out of the three available for cart towels they'll like. Old Course Checked Cart Towel perfect for my golf bag. UtherGolf's Cart and Tour Towels range from $21.99 to $29.99 with free shipping to Canada and the USA. If you're into social media be sure to follow UtherGolf on Twitter and their Instagram account is great for pictures too.